Take notes in this most logical of notebooks. 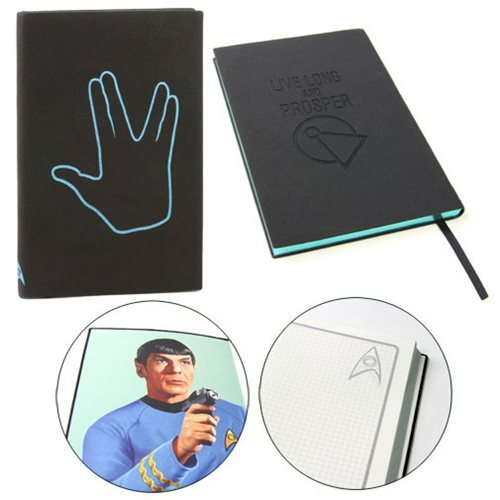 The softbound Star Trek: The Original Series Spock Journal features a debossed cover stating "Live Long and Prosper," measures about 8 1/2-inches tall x 5 1/2-inches wide, and contains 200 blue foil-gilded interior graph paper pages displaying the Science Division delta imprint. The front inside cover shows a graphic of Mr. Spock, while the inside back cover includes the Vulcan hand greeting. There's even a ribbon bookmark! Ages 13 and up.